For over thirty years the DEX (Direct EXchange) – a digital communication protocol that extends the UCS (Uniform Communication Standard) – has enabled direct story delivery (DSD) drivers to quickly and easily transmit digital invoices to retailers’ receiving clerks at their loading docks. As such, it has more than earned its stellar reputation as the industry standard and has been adopted by the majority of grocery chains and other large retailers. The DEX standardized system was developed in the early 1980s, and designed to minimize the time, costs, errors and rework associated with issuing paper invoices. Since then the protocol has been revised several times (the most currently used versions today are 4010 and 5010), and Versatile Mobile Systems (VMS) continues to lead the way in providing updated software as soon as new versions are adapted. Currently, we support up to UCS version 6030. It’s robust & flexible. DEX data is extremely useful and very extensive. This means you can get as much, or as little, as you require. You’ll save time & reduce errors. DEX eliminates the need for route employees to write what they load onto route cards and manually input this information into handheld computers. Instead, retailers electronically receive distributors’ invoices immediately when products are delivered, which further eliminates data entry errors and inefficiencies. More accurate & up-to-date inventory. Because data is in the system at the time of delivery, inventory data is more reliable and current. Additionally, DEX eliminates invoice processing times and allows for checks on quantities, prices, and product authorization. By confirming products and their prices that are listed on invoices are correct, DEX drives accuracy and efficiencies and eliminates the risks of unknown products arriving at checkouts. Retailers stand the most to gain – and they can encourage DEX use by offering incentives or priority service. Since the late 1990s Versatile Mobile Systems has offered DEX software solutions on every major mobile operating system, including DOS, Pocket PC, Windows Mobile, and now, Android. Versatile Mobile Systems DEX on Android is currently available only as an embedded client. In order to cover all versions of the DEX servers used by retailers today, Versatile Mobile Systems’ entire suite of DEX software is compliant from version 4010 to 6030. DEX has always required ruggedized mobile computers to make the system work. With equipment costs ranging from $1500 to $4000 per route, this capital expenditure put DEX out of reach of most small to mid-range suppliers. While economies of scale and distributed cost of fleet maintenance make ruggedized equipment the right choice for the largest distributors, they have yet to make economic sense for companies with fewer drivers. Unfortunately, without the ability to DEX, smaller suppliers are often locked out of the national retail grocery chains. 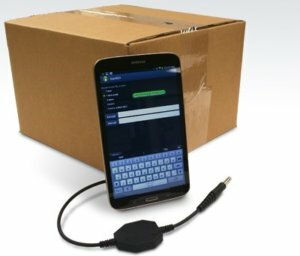 Now Versatile Mobile Systems’ DEX for Android makes it possible to DEX from low-cost Android tablets and smartphones in addition to ruggedized mobile computers. We’ve made DEX available to everyone; whether you have one driver or one-thousand-and-one drivers who need to DEX, we have a solution for you. NOTE: Versatile Mobile Systems will continue to offer DEX for Windows Mobile in addition to Android. Why Choose Android as Your Operating System? Android is an open system supported by many resources, developers, and enthusiasts. Other than published documentation, Google provides relatively little direct support, instead relying on the user community for this function. As such, an enterprise customer considering Android must also evaluate the support systems of their potential vendors. Those choosing to work with us are in good hands. 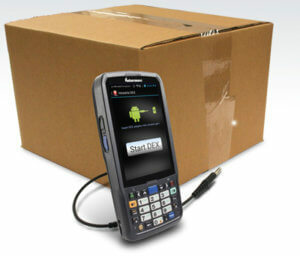 Versatile Mobile Systems is expert in Android equipment evaluation and deployment. In contrast to Microsoft Windows Embedded 8 Handheld and Apple iOS, Android apps may be obtained from multiple app stores or marketplaces. Google does not curate a collection of apps to be offered through a single portal. Upon registration, any developer may post an app to the Google Play store; other marketplace providers may have different requirements. Evaluation of the app for quality and suitability to purpose is left to the customer acquiring it, though more app stores provide a means for other users to rate and post comments about apps. Android solutions in the AIDC market tend to rely on Mobile Device Management systems for maintenance and configuration of mobile devices. Again, Google provides few tools to manage enterprise systems, i.e., company-owned devices managed on behalf of the end users. With a very broad and active ecosystem for applications, the customer deploying an Android solution has great leverage to source and adopt apps to perform specific functions within their environment. IT departments can be more responsive to customer needs by deploying small apps to accomplish specific tasks quickly and easily. Enterprises developing their own apps will find many tools and resources readily available to support their efforts. Android provides a broad and mature set of services, APIs, and frameworks that facilitate faster and easier app development. These tools enable developers to incorporate a broad array of application functionality through simple system calls instead of having to develop, debug and support these capabilities independently. The Android services ecosystem is currently far more mature and complete than newer systems such as Windows Embedded 8 Handheld. Android uses a virtual machine model for app execution; each app is “sandboxed” with its own process and file system. This promotes security and system stability. In addition, there is a good interapplication communication model and a shared file area that enables multiple apps to work together. Acceptance of Android is high due to its familiarity and ease of use; many employees already have experience with smartphones and understand the navigation of the user interface and the use of gestures. As a result, user training for an Android-based solution can potentially be easier and faster than older system designs. Enterprises targeting an Android deployment should expect to develop or acquire new applications. Existing apps written for Windows Mobile or Windows Embedded Handheld cannot be leveraged to the Android environment. Versatile Mobile Systems, through our partnership with Barcoding, Inc., can help you through this process. Ready to try DEX for Android?